Looking for the best computer cut window tinting at Coral Springs and Parkland Fl? Don’t look further! 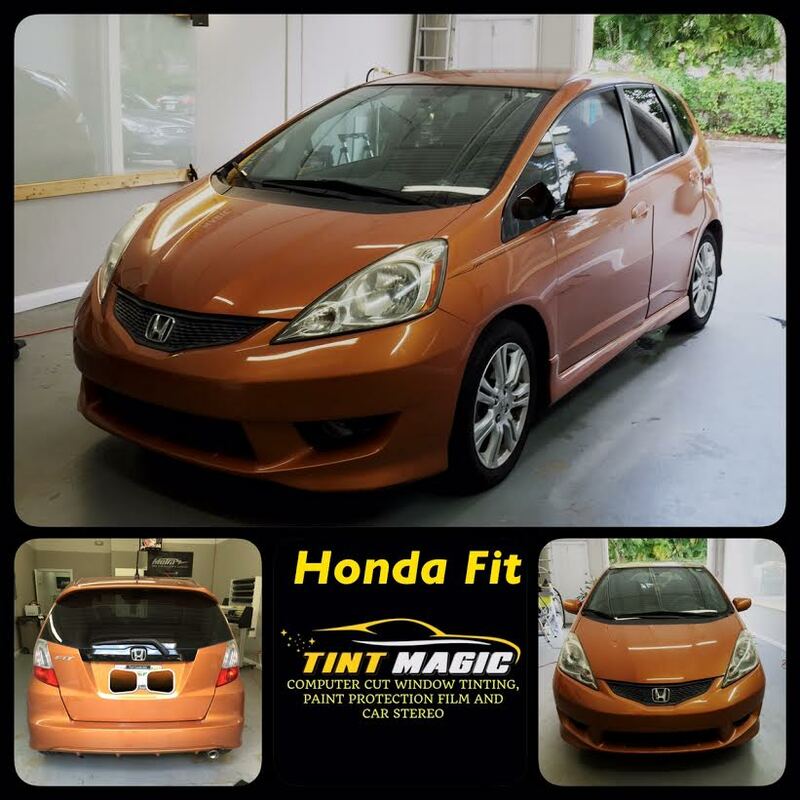 Tint Magic Window Tinting Coral Springs has everything you need for your car looks beautiful and protected. Just call us at (954) 840-7883 or visit us: 11344 Wiles Road Coral Springs, Fl 33076. The Honda Fit proves that a small car needn’t be punishment for spending less, successfully mixing economy, versatility—and even a little mischief. Its 1.5-liter four-cylinder makes 130 hp; a slick-shifting six-speed manual is standard, while a CVT is optional. The chassis is willing to play when you are, but the brakes are merely average. Rear-seat legroom is ample, and thanks to rear seats that fold flat, cargo capacity—at 53 cubic feet—is impressive, too. If the personal-transportation choices of Americans were based solely on need and practicality, we’d have a much narrower spectrum of vehicles on our roads. From the hundreds of models available now, we’d need just four: 50-cc mopeds for single people, bitty five-door hatchbacks for couples, minivans for larger families, and pickups for those who pack nail guns or pilot a Ditch Witch. In fact, we’re pretty sure this is how they do it in Europe. If they ever put us in charge, the Honda Fit will be mankind’s hatchback. Since it appeared on the scene in 2006, the fun-size Honda has been our reflexive recommendation for pretty much everybody on a budget, including the old lady in the shoe. To date, this spacious, bodacious cube has pulled in seven 10 Best Trophies and three comparison-test wins. So its redesign for 2015 makes us nervous. Can the new Fit possibly live up to the untouchable standard set by the old? It sits on a new platform, it’s powered by a new engine spinning new transmissions, and it wears a new look. That last point, at least, is a definite plus. For the first time, aesthetics seem to have been a prime consideration in the Fit’s design. As with the styling of many minicars, it’s polarizing. But the past two Fits haven’t polarized anybody; they’ve looked dorky to everyone.